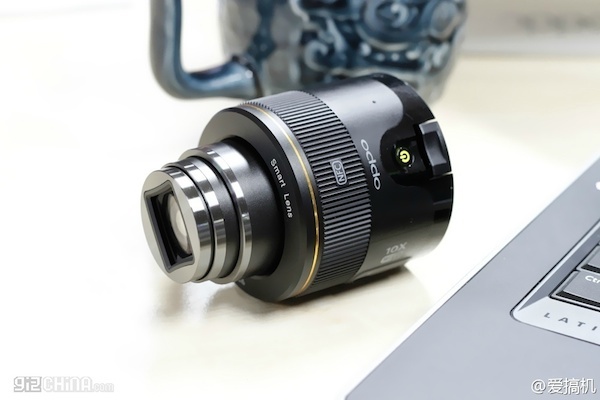 For those of you who love the Sony QX100 and QX10 Lens-style Camera but find it too expensive, Oppo might have the solution for you. It has recently been leaked that the Chinese phone manufacturer is working on a “Smart Lens” of its own, featuring NFC connectivity on board as well as a 10x zoom. 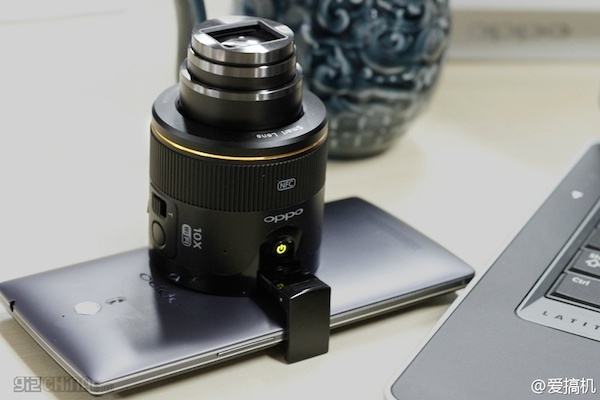 Pictures of a Lens Style-like camera attachment was recently posted onto a Weibo account, one of which shows the camera attached onto an Oppo Find 7. The Smart Lens looks almost identical to the QX cameras from Sony (it looks as big as the QX100 rather than the QX10 that also comes with a 10x zoom), featuring a similar smartphone mount, power button on the lens itself, shutter button, and controls for the zoom, possibly hinting that it can operate independently like the Lens-style cameras. 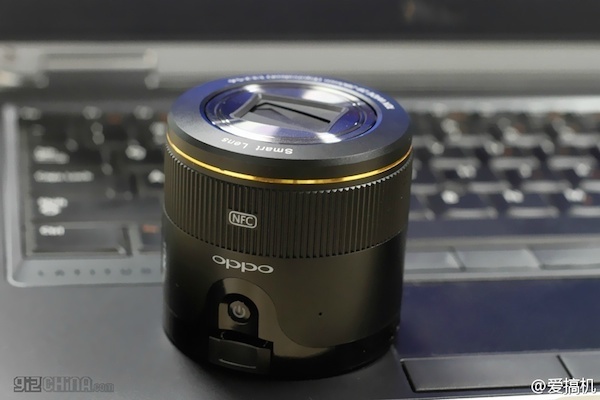 The picture shows that the lens comes with Wi-Fi connectivity, NFC and is equipped with a 10x optical zoom lens. It’s definitely great to see other players hopping on to the whole detachable camera lens ride. Sony has done a great job with their QX100 and QX10 cameras, Kodak’s PixPro Smart Lens are a whole lot more affordable than what Sony has got to offer, so let’s hope Oppo price its lens at an even more affordable price. Is OnePlus Actually A Fully Owned Subsidiary And Sub-Brand Of Oppo?